This weeks article is a review and buying guide for the best face moisturizers for men. We will take an in-depth look at lotions and creams – as well as a complete skin care system. Many ladies have ‘buy moisturizer’ on their to-do list. But very few men, if any, have it on their list. Most men feel like it’s unmanly to use a facial moisturizer. But this is far from the truth. Facial moisturizers are not a thing for women alone. The products available are testament to this. Today, there are facial moisturizers designed specifically for women and others for men. Men are encouraged to add facial moisturizers to their grooming arsenal since they have loads of important benefits. But jotting it down on your to do list is easier than actually picking out a product that will be perfect for your skin. Actually, a presentation walk down the skin care aisle can be overwhelming and super confusing. But don’t you worry, as always, we are here for you. We’ve compiled this article just for you – to take you through everything you’d need to know and some of the best face moisturizers you should consider. To kick this off, let’s get started on what you need to consider when buying facial moisturizers – what makes a great moisturizer for men? Do not make the mistake of picking out the first facial moisturizer you come across on the shelves. Instead, take some time to vet your options. Consider the following factors. We cannot emphasize this enough. A facial moisturizer is only as good as the ingredients used to put it together. In this piece, we shall echo this many times (you best be prepared for it). Below are some of the ingredients you are bound to come across. Antioxidants work to repair damaged skin. Antioxidants are available in many different forms including vitamin C, pomegranate, Vitamin A and green tea. From a scientific standpoint, antioxidants neutralize radicals which breakdown collagen and overtime cause wrinkles and fine lines. Many skin care products that are worth their salt will have this ingredient. Retinol is hailed as a great exfoliating agent. It will remove and reduce dead skin cells. Moreover, it gives collagen production and skin elasticity a major boost. It does this by stimulating the repair of damaged skin cells. Facial moisturizers feature several different alcohols. These include astringents and ethyl alcohol. But even while manufacturers love using them, you should exercise caution when using alcohol based facial moisturizers. Why? Well, alcohol can be harsh on the skin and even irritate it when used without moderation. But on the flip side, there are versions of alcohols called ‘fatty’ alcohols like lanolin that help in strengthening and moisturizing the skin. These are natural acids found in fruits. These acids helps in getting rid of dead skin cells and in the process, smoothening the skin. The acid levels are mild and as such can be used regularly. Before you buy any moisturizer, you should consider your skin type. There are 4 types of skin namely; oily, sensitive, dry and normal skin. If your skin is easily irritated, there are high chances you have sensitive skin. Sensitive skin requires moisturizers that do not cause or worsen irritations. On the contrary, the moisturizer should soothe the skin. To achieve this, the moisturizer should not have harsh chemicals like alcohol. If your skin is oily, you should stay away from oil-based moisturizers – they will only make your face shinier. Instead, you should get a water-based moisturizer laced with essential oils. If your skin dries up and becomes flaky, you need a moisturizer that will inject oils into the skin. A moisturizer that has antioxidants like grape seed oil is perfect for the job. To prevent your skin from cracking at the slightest stretch, you should get a moisturizer with petroleum jelly. Speaking of which, petroleum jelly is especially useful if you have eczema or wrinkles. This is the skin that is right between dry and oily skin. It is the least problematic of the four. If you have this skin type, you should get a moisturizer with moderate ingredients. Water-based facial moisturizers are always a great choice. We cannot run away from aging. This is a fact that you should make peace with. As you age, the skin losses its elasticity and moisture retaining ability. For this reason, it’s important to use a facial moisturizer. And here’s the thing – when you dedicate yourself to a facial moisturizing regimen, your skin retain its elasticity for longer and you will have fewer wrinkles. The climate and immediate environment also affects the health of your skin and how it looks. You should pick a moisturizer that will get the job done whether you live in a dry and warm climate or in a harsh and extreme climate like winter. Here’s some good news. You don’t have to worry yourself over which brand of moisturizer is better than the other (though there are some that are popular and known to deliver quality). The most important thing to consider is the ingredients used and the research and testing that back the claims made. 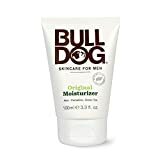 Like with other products, men’s facial moisturizers vary greatly in price as well. Some are expensive and some are cheaper. And while many people automatically assume expensive facial moisturizers are the best, it’s not always the case. We’ve come across expensive products that weren’t worth their price tag and cheaper ones that were invaluable. Your decision to buy a face moisturizer should be based on the ingredients as well as your skin type. If the moisturizer that works perfect for you is costly it’s okay. Your skin’s health and comfort are well worth making the investment. Moisturizers that protect the skin against harmful UV rays are great. You should give such moisturizers priority when you are looking for the best product to invest your cash in. Sun protection is represented as SPF (Sun Protection Factor). SPFs above 15 are great even if you have dark skin. And with that said, let’s proceed to look at which moisturizers are top rated for men. Brickell is a famous brand. As such, the story of how it got to the top of the food chain is not new. But even then, it’s doesn’t hurt reiterating it. The company was created in 2014 by Matt Bolduc and Josh Meyer. At the time, the two were looking for a premium skin care product for men they could use. Unfortunately (or fortunately for them), they couldn’t find any they felt met their needs and expectations. So rather than going back home and complaining of the lack of a good product, they decided to put together a quality product based on natural ingredients. They started operating from Matt’s garage but they have since grown into a force to be reckoned with. 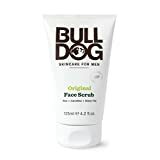 Actually, it is said that it’s one of the fastest growing brands for men’s skin care and in the grooming world as a whole. Now, we all know how difficult it is to turn a startup into a successful business. And since Brickell’s founders have managed to do so in such a short time, they must be doing something right. First and foremost, they have a one of a kind product line for both men and women. The Daily Facial Moisturizer is one of them. Like other Brickell moisturizers, this version absorbs moisture and provides the face with everything its needs to remain supple, soft and smooth. Even better, the moisturizer is made with natural ingredients. Hyaluronic acid – this is a great hydrator. In addition to the above ingredients, the moisturizer also includes eucalyptus, lemongrass, and peppermint to give a refreshing scent that isn’t too overwhelming. It’s also worth pointing out that the moisturizer doesn’t contain sulfates, petrochemicals, synthetic fragrances, parabens and gluten. The product is vegan friendly as it’s never tested on animals. Given that it’s not greasy and light, you will fall in love with how it feels on the face. 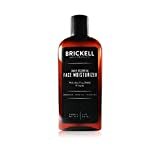 Brickell made the moisturizer light to increase its rate of absorption into the skin. It’s quite clear that Brickell has invested a lot of money and time in the creation of this product. The daily Moisturizer is perfect for your daily hydration needs and will help keep you looking younger for longer. Now, now, if you haven’t heard of this brand by now, you need to do some quick research on it. It’s one of the best things that happened to the grooming industry. The company was started at a time when the world thought men didn’t care for facial beauty and wouldn’t be found dead buying skin care products. A time when skin care products for men were unheard of and the few that came up were overly complicated. The Tiege Hanley brand provides skin care products in three levels. The System Level 1 product package includes bedtime and morning facial moisturizers. It also features a daily face wash. These products are gentle on the skin – so much so that they can be used on a daily basis without experiencing side effects. These ingredients complement each other very well. Together, they hydrate the skin without leaving it feeling too greasy or too oily. The Calendula extract calms and nourishes the skin. On the other hand, the plantain extracts works to smoothen the skin as well as minimize scarring and improves healing. Lavandula helps to kill bacteria and reduce redness of the skin. Given its antibacterial properties, it helps in preventing acne. Last but not least, Rosemary oil has antiseptic properties. The morning moisturizer has active ingredients including Avobenzon, Octinoxate and Octocrylene. These ingredients protect the skin from harmful UV radiation. The Bedtime Moisturizer gets to work when you turn in for the night. While you sleep, it’s busy repairing and triggering skin cell regeneration. Additionally, it helps to get rid of wrinkles and smooth lines. It does this by stimulating collagen production and hydrating your skin. During the day, as you go about your responsibilities, the skin undergoes a lot of stress from sunlight, wind, and pollution. A product that helps it to rejuvenate and regenerate overnight is a savior. The main ingredient in the Bedtime moisturizer helps to improve youthfulness. No it’s not the fountain of youth (but it might as well be). Niacin (the main ingredient) helps in removing wrinkles and fine lines. Additionally, it helps in reducing itchiness and promotes circulation as well as provide a balance of natural oils for hair and skin lubrication. Another ingredient in this moisturizer is hydrolyzed elastin. From this, you can tell what this ingredient does right? It hydrates the skin. Complementing these ingredients are aloe vera and green tea which have antimicrobial, anti-inflammatory and healing properties. You’d be pleased to note that these moisturizers are fragrance free. This is a huge plus especially if you have sensitive skin. This day and night moisturizer is a perfect treat for your skin. It will hydrate and rejuvenate it leaving it feeling soft and supple. This moisturizer from Rugged and Dapper is an all-in one facial moisturizer. It helps in handling some of the most prevalent skin problems including aging, acne breakouts, post shave irritation and damage from UV rays and harsh weather conditions. Any skin product that does all of these things is a winner. It is without a doubt a worthy investment. With that said, here is a quick breakdown of how the moisturizer achieves all of the above. R&D made the choice of making its products exclusively with natural ingredients. This resolve makes it a one of a kind product. Natural ingredients always have better effects on the skin in the long run than artificial ones. So what are these natural ingredients? Well, there’s a lot. The list includes sunflower oil, shea butter, vitamin B5, jojoba oil, and aloe vera. In addition to the above, R&D also throws in hyaluronic acid so do not be shocked when you see it on the list of ingredients. And despite what most men think, hyaluronic acid is actually a natural element found in the skin. It helps to keep the skin firm and elastic. Additionally, it protects the skin from UV rays. It’s also worth pointing out that the moisturizer doesn’t include toxins or parabens. It’s also not tested on animals. Regardless of your skin type, you will love the effects this moisturizer has on your face. The moisturizer is light in comparison to most other lotions and moisturizers. Additionally, it’s absorbed into the skin fast. And what’s even better, you will not be left with greasy skin. In addition to the above, many people love the R&D moisturizer for the fact that it’s doesn’t have a fragrance. R&D is one of the best moisturizing creams for men. It is perfect for all skin types. The natural formula deals with common skin problems. This brand is all about catering to men and their skin care needs. The company started in Texas. 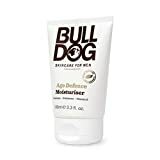 It was created by men who were looking for natural products that were good for men with all skin types. This need saw the rise of Jack Black which has become an industry favorite. This Double Duty Moisturizer is designed to be lightweight. However, it packs a heavy punch thanks to its vitamin and antioxidant filled formula. These ingredients give it sun protective properties. It has an SPF rating of 20. This rating is way higher than what other men products offer. With this rating the product provides protection against UVB and UVA rays. On the flip side, it also hydrates the skin without leaving it oily like other heavy moisturizers do. Jack Black makes use of a ‘PureScience’ formula which consists of certified natural ingredients and natural surfactants. All of these ingredients are scent, paraben, gluten and animal product free. The natural organic ingredients that give this Jack Black moisturizer its potent abilities include sea parsley, edelweiss, blue algae, and Plantago leaf extracts. The blue algae extract is rich in vitamin E which helps to prevent redness and irritation when shaving. The other ingredients are antioxidants and work to slow down the aging process. The best part is that you can use the product all year round including the dry months. Like many of the moisturizers that we’ve reviewed in this piece, Jack Black’s moisturizer is perfect for all types of skin. We would also love to mention that a little amount of Jack Black does a lot. A thin layer on the skin will hydrate you for an entire day. In the end, you’ll notice an overall improvement on your skin’s appearance. However, you need to remain consistent with its use. The moisturizer is perfect for all skin types. It delivers on the promise it makes – that of providing a product that is natural. However, to enjoy the effects of this moisturizer, you will have to part with some pretty penny. Luckily, the moisturizer lasts for several months. This starter kit from Baxter has everything a man would need to keep his skin hydrated, toned and clean. We especially love the product because it’s not oil-based. This ensures that it’s absorbed quickly. We also love the fact that it is fragrance free. The starter kit also comes with a daily face wash as well as a mint toner made from plant based antioxidants. These help to protect the skin from cell damage. Though Baxter has sprung to the lime light a few years ago, it was formed back in 1965. Since its creation, it has been dedicated to producing quality products. It’s one of the few grooming brands who you can trust to deliver on their promises. This moisturizer is designed to be lightweight. It leaves the skin refreshed and smooth. And as mentioned above, it’s absorbed fast into the skin. On the other hand, the antioxidants help prevent cell damage. You can start your morning skin care routine with this kit anytime. The results you get will be through the roof. The face wash will help get rid of debris an excess oil. If you follow it up with the mint toner, you will cleanse and condition your skin. Last but not least, the moisturizer will refresh and hydrate your skin. This moisturizer is oil-free. On its own, it’s pretty impressive. But the results you get are even better when you pair it with the starter kit. The natural ingredients will help to soothe the skin and hydrate it. If we are being honest, some moisturizers are a little greasier in comparison to their counterparts. While for women this might not be such a big deal, for men it is. No man wants to have a greasy cheek all day long. One of the reasons men have fallen in love with this lotion is the fact that it’s not greasy. It’s designed and created with men in mind. And the best bit is that it’s perfect for all skin types. The moisturizer will improve your skin’s texture and minimize wrinkles and fine lines. Some experts say that this is by far the best moisturizer available. Well, this is true first because it comes packed with antioxidants and second because it’s lightweight. The antioxidants are easy for the skin to absorb. For best results, it’s recommended that you use it in the morning right after shaving. In addition to improving your skin’s look and feel, it will also protect it from harmful UV rays. It has an SPF rating of 15. It is not sticky or oily. It’s fragrance is very light which makes it perfect for men. You will fork out a little extra for this moisturizer. But like any other great product, it’s an investment worth making. The sun protection and the light texture make it a premium product. This is yet another product from a company that has made a name for itself by making high quality grooming products for men. Its line of products includes; face wash, shaving supplies and facial moisturizers. Lather and Wood are keen on providing quality products as well as exemplary customer satisfaction. This much is expected from a popular company right. But the thing about L&W’s moisturizer is that it’s more of an all in one product. It delivers an all-round performance. The moisturizer is made from natural ingredients including jojoba oil, Shea butter, and palm oil. Palm oil is a powerful antioxidant. The lotion also doubles as an eye cream. The ingredients fortify, hydrate and work to repair skin damage. Additionally, the ingredients help to conceal aging wrinkles. Speaking of which, there’s a lot of debate going on, on whether moisturizers can get rid of wrinkles or not. Well, it’s more accurate to say that moisturizers improve the appearance of fine lines and wrinkles. It does this through hydration which prevents the skin from bruising and tearing. This helps the wrinkles appear shallow and less visible on the face. It’s also worth noting that L&W moisturizer gives a soothing effect after its application. Its formula is all natural. It doesn’t contain harsh chemicals or alcohol. L&W looks and feels like a luxury product. It’s costlier than most moisturizers. The good news is that it gets you results. The formula is made from natural ingredients and leaves your skin feeling smooth after its application. This brand is aware that dog is man’s best friend. But on the flip side, they insist that skincare products are just as important. 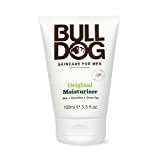 Bulldog has taken the initiative of developing a number of natural grooming products specifically for men. We especially like the Original Moisturizer. This moisturizer is without a doubt one of the best lotions for men. It is perfect for all skin types. However, some men who have reviewed the product say that it is even better with medium and oily skins. While at face value there’s nothing that stands out about this product, you shouldn’t let its laid back design fool you. Applying it on a regular basis in the morning and at night right before bedtime will keep your skin moisturized and smooth. Additionally, it is free of parabens, artificial colors, sulfates, synthetic fragrances and other ingredients that are extracted from animals. Instead, it includes essential oils, green algae, green tea, konjac mannan, and vitamin E. Konjac mannan is a tropical plant that grows in Asia. It is commonly used in facial treatments. This moisturizer is slightly thicker than the other products we have reviewed. But even then, it doesn’t leave an oily finish. It has a subtle manly scent which is perfect. This moisturizer is pretty basic. However, even in its basic design, it does a good job and delivers the promises it makes. It is a great all-round product. Neutrogena products are highly rated. Most dermatologists have got nothing but praise for its products. They love them for good reasons. The products are available in the form of shampoos, and lotions. They also work for women and men. Neutrogena as a skin care brand understands the needs for women and men skin. It knows that they have different needs and proceed to make solutions for both. Since women skin is 20% thinner than men’s skin. This means men’s skin is tougher. Nonetheless, it needs protection as well. This lotion is designed to soothe skin irritations after shaving, to fight aging signs and hydrate the skin. It has an SPF rating of 20. With such a high rating, it protects the skin from harmful UV rays with ease. Given the high rating, some men also use it as sunscreen. Aside from the above, here is a short list of what this Neutrogena product has to offer. This brand is famous for producing quality grooming products. It leads the pack in quality skin care solutions. The sun protection is excellent and it leaves the skin feeling refreshed. Experts make it look easy. However, it’s not. If you’ve never done it before, it’s easy to get the application wrong. We recommend that you take your time to learn how to do it right. This is the first step to reaping great results. Never apply moisturizer on a dirty face. Doing so will only block sweat, oil and other debris particles in the pores. And we all know this is not good for skin health. Before applying the moisturizer, wash your face with a face wash and then follow it up with a face moisturizer. You should also make sure your hands are clean. After washing your face dry it with a clean cloth. Applying moisturizer on wet skin affects how fast and well the skin absorbs the moisturizer. The best time to apply you moisturizer is in the morning and before you turn in for the night. Applying it in the morning helps the skin look refreshed and bright. Applying it at night will help improve the appearance of wrinkles on the skin. It’s tempting to want to use a lot of moisturizer on your skin. However, it’s not a good idea. A small amount (half a tea spoon) is sufficient. Too much moisturizer will leave your skin shiny and greasy. First apply the moisturizer to your dry cheeks and then the rest of the face. The cheeks are often the driest part. Use circular motions to apply and be gentle. Once you’ve done your cheeks, do you forehead next. From the forehead, you can proceed to the nose, chin, neck and later the ears (in that order). The T-zone is the area from the forehead down to the nose and the chin. These parts are usually oilier than the rest. Be sure not to use a lot of your moisturizer here. So since we’ve already looked at what a moisturizer is and the best ones in the market, it’s important that we have a look at the different types available. You might have noticed that we categorized the reviewed moisturizers by type. Here is a little more detail on how the above differ. Lotions are lighter than creams. They are perfect for all skin types. If you have trouble choosing the best on, go with a noncomedogenic one. This type will not block your pores. Lotions are often non greasy and don’t leave an unsightly shine. Creams are thicker in comparison to lotions. They are perfect for men with dry skin. You should use heavy cream during winter or in conditions that cause your skin to dry out. These are thick and have a high concentration of oil. They are also sticky. These are the lightest. They are non-greasy and feel cool on the skin. Most gels have bases that disperse the ingredients by liquid fat, alcohol or water. These moisturizers slow down the manifestation of aging on the face including wrinkles and fine lines. They are packed with vitamins, antioxidants, and ingredients that fight radicals. These include caffeine. Caffeine gives our bodies a jolt of energy that we need every morning. The antioxidants in the moisturizers also work to enhance blood circulation. These include sunscreen. The sunscreen protects the skin from harmful UV radiations. Additionally, they help prevent brown spots and wrinkles caused by exposure to the sun. Our criteria revolved around fragrance, texture, ingredients and skin type as explained at the beginning of this piece. Like with all products, we preferred products with natural ingredients. We also looked for the moisturizers that came with sun screen properties. Though we were aware of the price, we didn’t let it stand in the way of use reviewing a quality product. However, we did try to balance price and quality of the product. We hope that this review opens your eyes to the world of options available and how to use moisturizers for best results. If you have any questions or comments, please feel free to reach out.